CBC K-W sent surveys to the candidates for mayor in Kitchener. These are their responses to our questions. We asked the candidates for mayor in Kitchener to answer a survey where they all were presented with the same questions. Here are their responses. Candidates were told they had a 300 word limit for answers. Some answers have been edited for length. There are four people running for mayor in Kitchener: Jiri Marek, Narine Dat Sookram, Myron Daniel Steinman, and incumbent Berry Vrbanovic. Did not respond to a letter requesting survey responses. 1. What is the number one issue you think Kitchener is facing and how would you address it? A cohesive vision regarding how to manage growth in a way that engages neighbourhoods and stakeholder groups. This will be based on the accepted growth principles, but also active outreach to hold meetings in the very neighbourhoods where there are conflicting interests and to work with developers to meet a respectful balance for the neighbourhoods. Along with this is the important principle of encouraging integrated subsidized housing in each development project. Full transparency and advance notice of development plans would mean giving neighbourhoods more than the minimum notices in terms of advance time and also well beyond minimum distances from the development so that all that are affected are involved. It also means encouraging businesses and green spaces and proper bike trails in these new areas. Council is engaging the usual suspects in its outreach. True engagement means the city should invest in software that allows for citizens to propose ideas and vote on them, and also rank budget priorities. It also means making the effort to physically go to those who have been voiceless or intimidated to approach the city by using cultural interpreters, sign language interpreters and large print for presentations, plus council doing tours of every neighbourhood and holding council meetings in each ward per term. How to help those on drugs, while protecting the city's neighbourhoods and downtown. We cannot police our way out of this issue, so we need to work with partners like the Crime Prevention Council and Canadian Mental Health Association, The Working Centre, the Social Planning Council, the House of Friendship and youth organizations to put outreach and resources to help reduce the issues that are the causes of the drugs. Again, supportive housing with counselling would be a major part of this solution. 4. How would you co-ordinate and communicate with the Ontario government about the needs of residents in Kitchener? I would become deeply involved for a year in Kitchener getting to know the key issues and stakeholders and their issues and potential solutions, relating to the drug crisis, supportive housing and an integrated, all day transportation network connecting to Toronto and the airport. I would then do an asset map of all the things we could bring to the table to support any solutions that were developed, short of the funding needed by other levels of government. I would then partner with my mayors and councils, as well as local MPPs and even MPs and develop a strategy to have key cabinet members tour the area and ask for strategic funding for pilot projects to show the innovation of this community and how we can work together to create a vibrant and prosperous community. I am a proud person of colour, family man, and active member of the many ethnic communities for the last 25 years. I have done my homework, have been a tireless community advocate, and have been recognized as such: Waterloo Region Record's Top 40 under 40, 2010, Honourary Doctorate of Humane Letters, 2016; Global Public Peace Prize, 2016; International Service Excellence Award for Director of the Year, 2014; 2X 10 Ideas to Change Waterloo Region, 2014/2013; TIAW World of Difference 100 Award for Empowering Women Economic Growth 2014; RBC's Top 25 Canadian Immigrant Award 2013; Governor General's Caring Canadian Award, 2013; Ontario Volunteer Service Award for 20 years of service 2013; Queen Elizabeth II Diamond Jubilee Medal 2013; Waterloo Award 2012; Arts Awards Waterloo Region recipient, 2012 and many more. I'm a proud citizen of Kitchener for the last 25 years. I want to create a community with an exciting vision for and with my family, friends and neighbours. I'm a very high energy person who works until a problem is solved. I have been very successful in my creative approach at work to help people find work by using my ability to develop specific job opportunities that match the participants' skills, work experience, related training and interests. Apart from maintaining relationships with existing employers and establishes relationships with new employers who are willing to hire our participants, I also identify and develop a strategic service plan that serves both the employers' hire and [an agency's] placement needs. I have a vision for Kitchener that transcends the current middle of the road thinking. We need a plan to become a great and innovative city in all ways and help elevate the lives of all citizens. Oh, and if you're wondering how to pronounce my name, it's easy, just think "Na-Ryan." ​​1. What is the number one issue you think Kitchener is facing and how would you address it? The future of the Charles Street Transportation site was the precipitating factor why I let my name stand for mayor of Kitchener. I would ensure there are more opportunities with public engagement from citizens of Kitchener on the future of this site. Land use planning that includes citizens and business from all income levels, ages, family composition and abilities. The municipal level has the greatest potential for participatory democracy and building civic society from the ground up. It can, however, not act in isolation. I would foster a climate of respect and dignity, knocking down silos and be a catalyst for positive peace solutions at a municipal, provincial and federal level. I am a resident of the City of Kitchener for over 25 years and a resident with the Region of Waterloo for close to 40 years. Formal academic achievements include an undergraduate Liberal Arts degree with the University of Waterloo, diploma of social work with Renison University College and a post degree certificate with Conestoga College in community mental health. Employment includes community work with the non-profit community mental health sector since 1993. Extensive volunteer experience. The most significant issue facing our community over the coming years will be ensuring that there is a sense of belonging amongst everyone living in our community. It means continuing to maintain some of our community's small town feel, while fulfilling the growth mandate that has been designated for our region by the province and dealing with some of the challenges that come with that. Over the past term of council, we have made progress in this regard, but more work needs to be done. One of the greatest successes in this respect has been our award-winning #LoveMyHood neighbourhood strategy which recognizes the uniqueness of each neighbourhood while also recognizing that action plans to strengthen each neighbourhood need to be a combination of city-wide initiatives and local solutions to address neighbourhood-specific issues. Work started with a couple of neighbourhoods this term on neighbourhood-led action plans, needs to continue for the remainder of the city, and regional initiatives liked Wellbeing Waterloo Region need to look for ways of integrating with this grassroots community work so as to maximize the impact of any community investments being made. Further, with an ever-increasing number of people making Kitchener and Waterloo region home, we also need to continue to ensure that the growth occurring in the region is being well-managed by completing the planning for the new rapid transit station areas, as well as our new implementing zoning bylaw so there is increased certainty for both existing residents and new demographics moving into neighbourhoods. Closely tied into the previous answer, I believe there is more that we can be doing as a community in terms of gentrification. While we have made some progress in this regard, ensuring that Kitchener and Waterloo region remains a caring community for all would be part of my focus if re-elected as mayor for a second term. One of the most significant areas of focus here would be in the area of housing – the most basic of human needs. It is more important than ever that planning decisions are made to ensure that there is affordable housing available across the full spectrum from fully subsidized rental housing through to a range of home ownership options for residents of our community in every part of our city. This will include everything from taking advantage of the opportunities that will be made available for new housing construction through the recently announced national housing strategy through to ensuring the province gives us necessary tools through the provincial legislation to address these issues and then acting on them. Similarly, from an economic development point of view, we need to strengthen our efforts to support the full-range of small business as well as business growth and attraction that meets the needs of individuals more geared toward the traditional economy. We also need to work with property owners of things like neighbourhood plazas to re-invent those spaces so as to meet the needs of changing demographics in those communities. 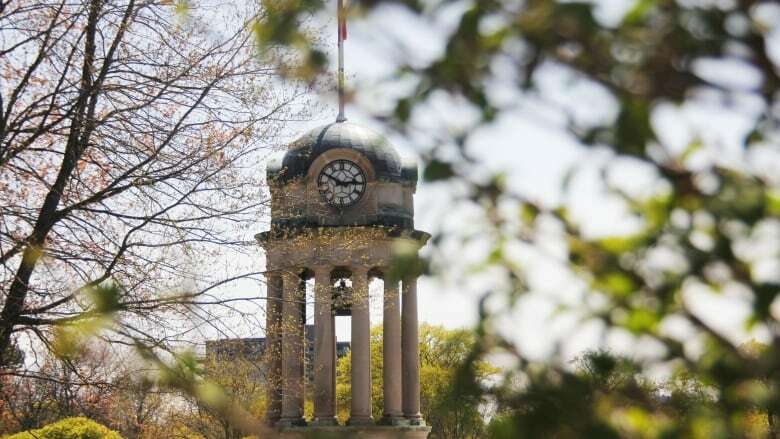 The biggest challenge facing both City of Kitchener and Region of Waterloo council will be dealing with some of the social issues facing our community. From dealing with the growing opioid crisis, to the growing number of homeless individuals we see in our community – working to ensure that we remain a caring and compassionate community for all, and getting people the supports they need will be key during the next term of council. Much of this work, is traditionally reliant on support from other orders of government, and we will need to continue to advocate for that. However, we will also need to re-prioritize local funding for some initiatives, and gain the support of the broader community, where possible. These issues will be difficult to tackle. On one hand, recent Environics surveys show that some of our residents have greater expectations for us to help citizens facing life challenges, but we also know that segments of our community find dealing with these issues more difficult. A lot of work will need to be done building awareness and understanding of how building a vibrant, sustainable community means dealing with these issues for everyone and prioritizing resources accordingly. Leading a community of almost 240,000 people and being part of a regional council leading 570,000+ people is a role where experience matters. My years of municipal service have helped me build the contacts both at Queen's Park and in Ottawa, across the political spectrum, which are necessary to help advance the needs of Kitchener and Waterloo region with our other elected partners. During this past-term of council, with our team at the City of Kitchener, and together with our partners throughout the region, we initiated Waterloo Region Advocacy Days for the first time both in Ottawa and at Queen's Park. This was a very successful initiative that I would continue next term of re-elected. As a former president of the Federation of Canadian Municipalities and an active member of their Big Cities Mayors' Caucus and the Association of Municipalities of Ontario Large Urban Mayor's Caucus, I regularly meet with key provincial and federal ministers about issues important to Kitchener and other Ontario/Canadian cities. This would obviously continue to ensure that our region's concerns are top-of-mind with key decision makers. Finally, I regularly meet with my provincial and federal counterparts locally, both formally and informally, where we discuss issues relevant to our local community. During the upcoming term of council, advocacy efforts would focus on improved transportation ties throughout the Toronto-Waterloo region corridor, public transit including two-way, all-day GO Transit, infrastructure investment, affordable housing and assistance with social issues. I love this community, and our country. As someone who immigrated to Canada with his parents almost 50 years ago from present-day Croatia when he was 2.5 years-old, having the privilege to serve our community has been the greatest honour of my life. I come from simple roots where my father was a car mechanic and my mother, a stay at home Mom. I am proof that in our country, with hard work, and determination, and yes, a little bit of luck, one can achieve their dreams and aspirations. I have tirelessly served these past four years as our city's mayor, attending hundreds of community events each year where I have met so many amazing people who share my passion for Kitchener, and for #WRAwesome. I have worked with my counterparts throughout the region, provincially and nationally to advance this community's priorities over the past four years while also ensuring that our community and this region are known beyond Canada's borders as well. I care about people, and am passionate about collaboration, and how we can achieve more by working together to make Kitchener truly one of the best cities not only in Ontario, but also in Canada. Together with my colleagues on city council, we have led a community that truly has focused on building strong neighbourhoods, a growing economy and a better Kitchener. But there is much more work to be done. I have the passion, the ideas, and most importantly the energy to ensure that Kitchener continues to have the strongest leadership possible.